Superdry women's Panel graphic sweat dress. Be comfy, yet stylish this season with the Panel graphic sweat dress, featuring a panelled design across the chest and sleeves, two pockets in the side seams and ribbed collar and cuffs. 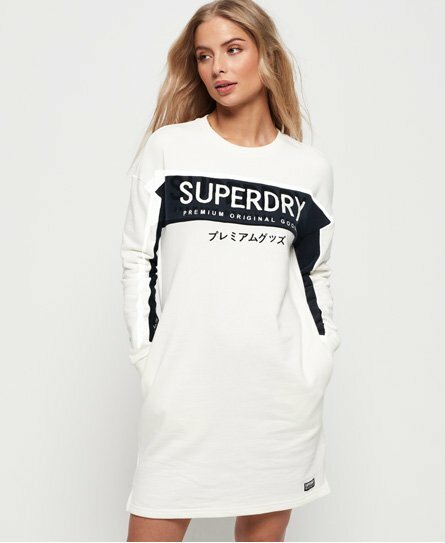 Finished with an embroidered Superdry logo across the chest, Japanese inspired graphics on the sleeve and a Superdry logo badge above the hem.